Karbonn mobile has launched a new budget dual core smartphone with 5 inch display, the Karbonn A21+. The specs of the handset are generic there are bunch of smartphones available in the market with better specifications, specially at cheaper price. 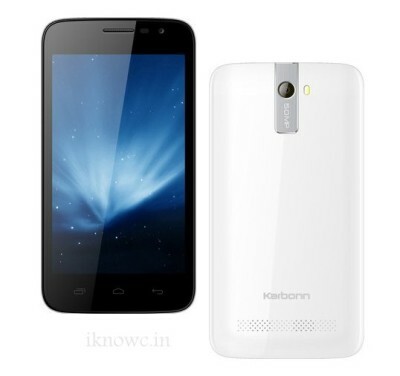 It is the upgraded version of Karbonn A21 which was launched last year. Spice mobile has also launched a new smartphone named as Spice Smart FLO Pace 3 Mi-502n with 1.3GHz 2core processor for 7499. The Smart FLO Pace 3 Mi 502n seems to be a better smartphone than A21plus. The Karbonn A21 plus is powered by 1 GHz dual-core processor paired with 512MB of RAM and runs on Android v4.2 Jellybean operating system. It has 5-inch display with FWVGA resolution, Dual SIM card slots, 5-megapixel secondary camera with flash and a VGA front facing camera. It features 3G, WiFi, GPS, EDGE, Bluetooth, FM radio and has 2000mAh battery. The A21+ is priced at RS 8290, you can buy it from flipkart. It comes in White and black color.